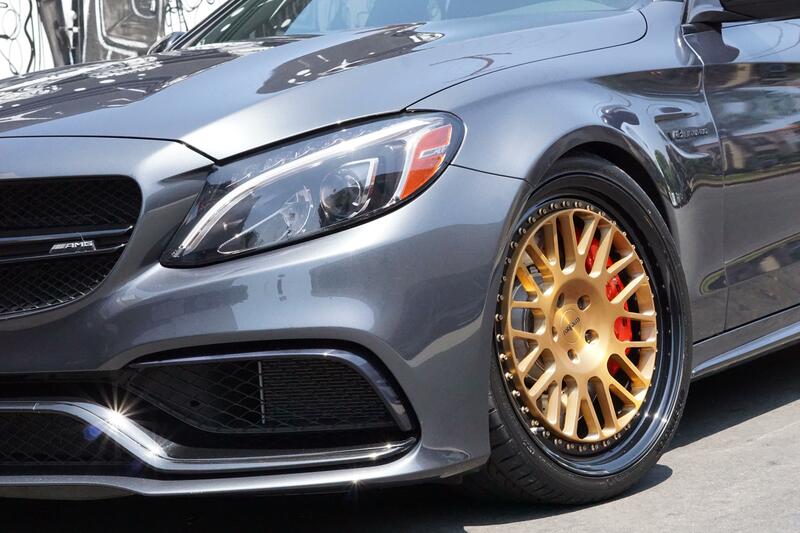 As clean as the 2016 Mercedes Benz C63 S design is, we had to add the Innovative touch. It already possessed reinforced structure to support the added length, a two-mode exhaust system and high-performance brake system. The prized vehicle now features custom painted black-out trim and 15% ceramic window tints … but that’s not the first (or only) thing you noticed, is it? The wheels are truly eye-catching – exposed hardware and all. 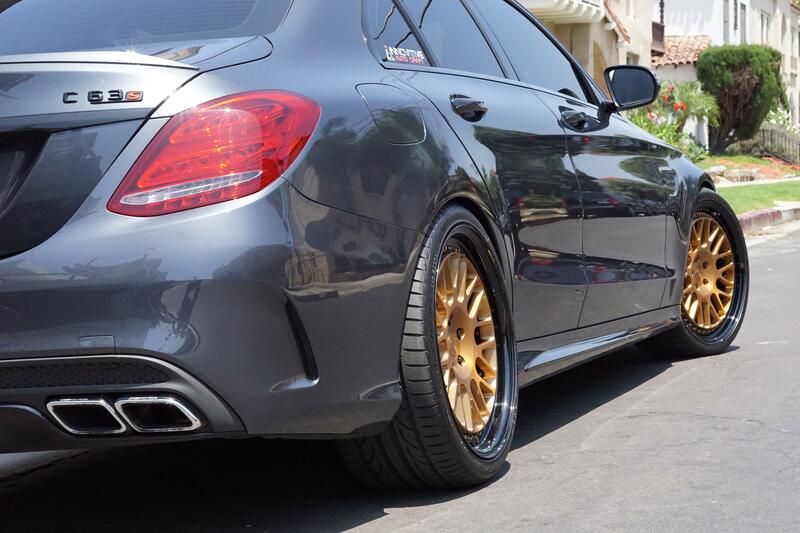 Would you be surprised if we said they’re custom finished Rotiform LVS Forged three piece wheels? The front ones come in at 20×9 and the rears are 20×10.5. Each has machined centers with matte face and gloss windows. The high gloss outer lip provides added shine. Rotiform is a leader in the automotive industry, known for their exclusive wheel designs because they’re experts when it comes to configuring a wheel to fit any look or driving style. There was no doubt that they would produce the finest ones we’ve seen yet. We also lowered the H&R Sport Springs which further improved the suspension performance and quality. Leave it to Innovative Auto Craft to make your vehicle look and feel good while driving! Monday To Friday – 8:00 am – 5:00 pm Saturday – 8:00 am – 12:00 pm We Are Closed On Sundays. © Innovative Auto Craft – All Rights Reserved.